Got a dog bite? Maybe a bee sting? Perhaps you're just feeling sad? Google's got a little mid-week pick-me-up in the form of a sizeable giveaway. 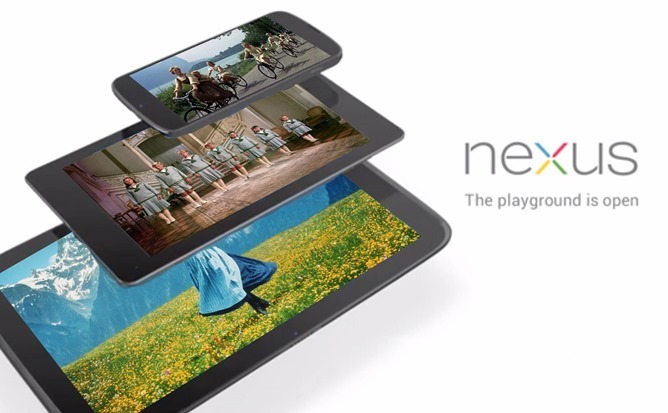 To promote the new look of the Play Store and the Google Play Twitter account, they're giving away ten Nexus 10 tablets, seven Nexus 7 tablets, four Nexus 4 phones, and no less than a hundred $10 gift cards to the Google Play Store. Unfortunately for our international readers, the sweepstakes is only for US residents. To enter, you'll need to follow the Google Play Twitter account (@GooglePlay), then tweet out one of your favorite things (copper kettles, woolen mittens, unlocked devices with AOSP software builds) with the hashtag #favoritethings. Include a link to a relevant item on the Play Store. Then fill out the short entry form at this link, including your Twitter username, email address, and a link to the tweet. It's a bit surprising that the Google Play folks would use Twitter as their promotional vehicle of choice, since Google's got its social network. You know, the one that's actually integrated into the Google Play Store, and provides an easy mechanism for tagging items of interest. But since the Play Store Twitter account has just under 200K followers at the time of writing, as opposed to more than 1.5 million on Google+, maybe it's not that surprising after all. Entries are due by 11:59PM PST on Wednesday, April 24th. Winners will be randomly selected on April 29th. Only one entry per person is allowed.